I am a realist artist living and painting in Northern Virginia, USA. Aside from my husband and three amazing children, my passion is painting the ordinary that makes you feel extraordinary. 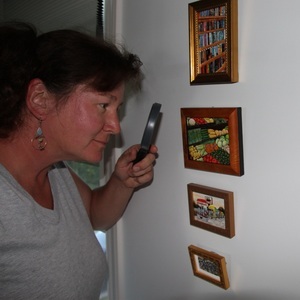 I delight in creating fine art pieces that make you want to pick up a magnifying glass and get close to them. Layer upon layer of color and texture draw you into my world, my space, where I hope to make you smile!